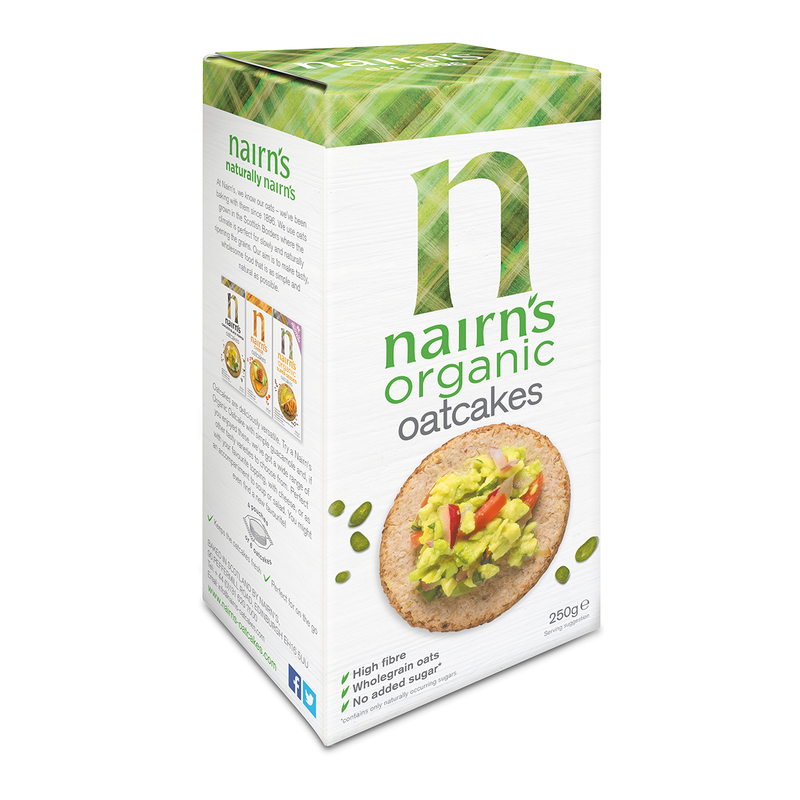 Bursting with natural berry flavour and wholesome wholegrain goodness, Nairn’s Mixed Berries Oat Biscuits are the perfect fruity pick me up. With only 43 calories per biscuit and 40% less sugar than the average sweet biscuit, they’re guilt free pleasure for any time of the day. Hunter’s Collection Mixed Berries Oat Biscuits – Mixed Berries (200gm) 200gm Box. Biscuits & Crackers, MSG Free, Non GMO, No Preservatives, No Artificial Flavours, No Artificial Colours, Vegan, No Transfat, No Cholesterol. A product of Hunter’s Collection, Nairn’s brand. Wholegrain oats (66%), sustainable palm fruit oil, demerara sugar, dietary fibre, partially inverted syrup, cranberries (3%) (cranberries, sugar, sunflower oil), potato starch, barley malt syrup, raising agents: (ammonium bicarbonate, sodium bicarbonate), raspberry puree pieces (1%) (raspberry, apple juice concentrate, apple powder, citrus pectin) sea salt, natural flavouring. These fruity biscuits are the best snack and they’re literally bursting with flavour. They’re perfect as an after a hectic day treat and indulgent enough to savour with a cup of coffe or tea.